Hanington, B. & Martin B. (2012). 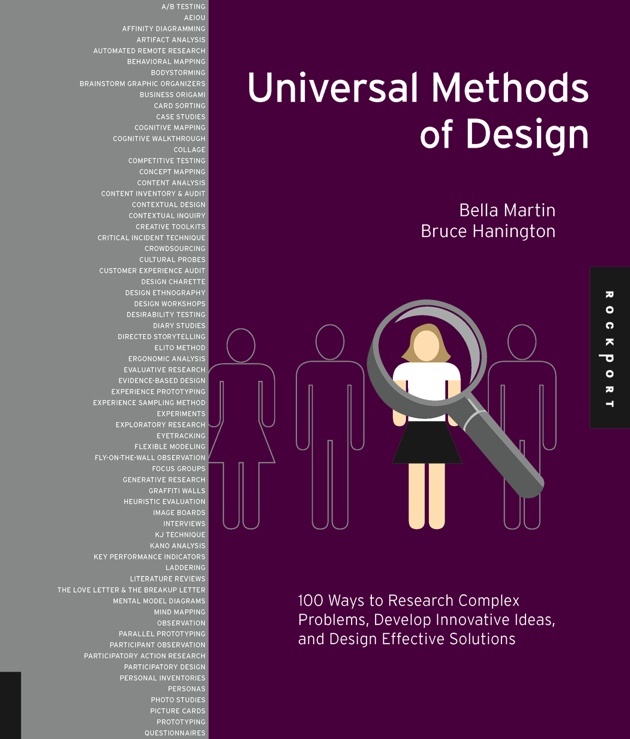 Universal methods of Design🔗 — 100 ways to research complex problems, develop innovative ideas, and design effective solutions. Beverly, MA: Rockport Publishers. Kumar, V. (2013). 101 design methods🔗 – structured approach for driving innovation in your organization. Hoboken, NJ: John Wiley & Sons.